Over the Christmas and New Year period, we're catching up with some of our favourite artists for a quick fire interview about their highlights of 2017 and plans for 2018. Check out the latest episode below, and keep checking back for more interviews this festive season. We caught up with the brilliant Ryan Knott from Acoustic Truth to chat all things music. What was you favourite part of 2017 ? Read More Over the Christmas and New Year period, we're catching up with some of our favourite artists for a quick fire interview about their highlights of 2017 and plans for 2018. Check out the latest episode below, and keep checking back for more interviews this festive season. 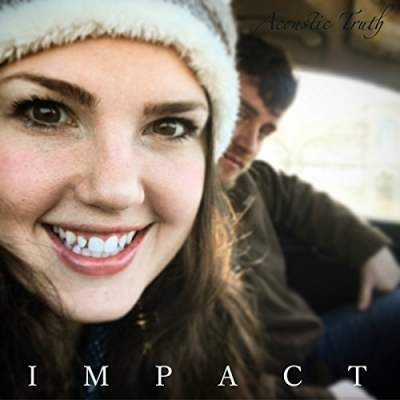 Releasing our first CCM album "Impact" and receiving messages from listeners that it helped them in one way or another. That is what playing music is all about! It was also cool seeing it climb the charts :) We are so humbled by that. What was your favourite album of 2017 ? That is too hard of a question. There are way too many talented musicians out there that we cannot decide. Are you looking forward to any new releases from artists in 2018 ? To be honest we have been so head down with writing and recording that we haven't had a chance to really see who is releasing in 2018. Will have to research that one. Who would you love to see release new music in 2018 ? Hopefully Casting Crowns. They may already have it on the agenda but we just love their music and the "heart" they share in their songs. What does 2018 hold for you? More music, videos and a radio tour. But at the same time, continuing to play at our church St. Andrews in Park Ridge, IL! Shout out to Pastor Matt!